Perfect Marketing Ideas To Use Trade Show Display During Off Seasons. If you exhibit at a trade show, then you already know the absolute importance of having a great trade show display. Often, your trade show setup is a customer’s first impression of your business, so it’s important to have a great display that exudes professionalism. But what should you do with your display during the trade show off-seasons? Keep it in storage? Or is there perhaps an opportunity to utilize your display in unexpected ways to maximize your investment? Here, we’ll discuss some ways that you can use various trade show display components to boost your business all year round, even when you’re not on the road. Curious about how to set up your trade show display to begin with? 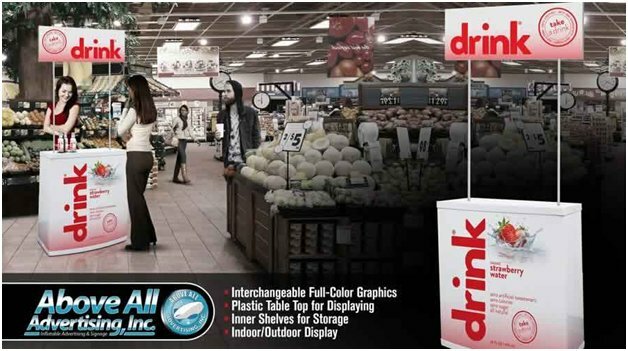 Above All Advertising has all sorts of solutions for trade shows, from indoor signs to trade show packages to outdoor marketing display items. For the full range of products and services, browse the Above All Advertising website. Use display walls as store or showroom displays. A display wall, whether it’s a curved wall, UFO screen, or a collapsible flat wall, is a great addition to any trade show display. But all of these options can also come in handy in a showroom or retail setting, too. They can be used as dividers to differentiate different sections of the business, or can act as displays to spotlight products or services. These sharp-looking walls don’t need to stay in storage till the next batch of trade shows when they can help you sell all year long! Use an event bin for donations. If you’re taking part in a donation drive, make sure that your customers can make donations in style. Use an event bin or a fab-can to collect non-perishable food donations or whatever is involved in your particular donation. Not only will you be taking part in a good cause, but you’ll be using it as a positive marketing opportunity at the same time. Use trade show flooring to create unique floor displays. When setting up a trade show, you often need custom flooring to cover up ugly event space concrete floors. However, there’s no reason you can’t make use of this custom flooring once you’re back in your place of business. 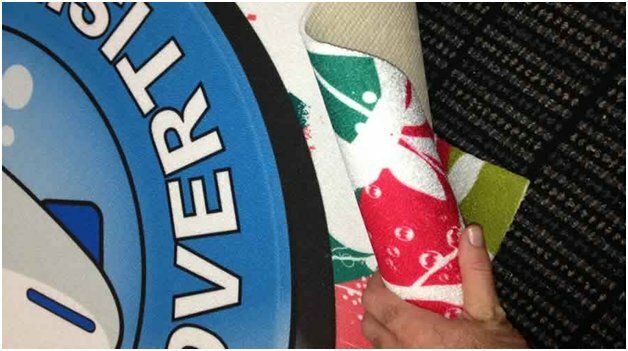 In a retail setting, a custom printed carpet with your logo can make a compelling display item and help drive sales and give you a professional appearance. Even interlocking wood grain flooring can provide a cushiony surface for customers in waiting areas or retail spaces. Use podiums for pop-up displays. There are times when your business will have the opportunity to display on a less official basis than a trade show: for instance, in-store demos, business to business events, networking parties. 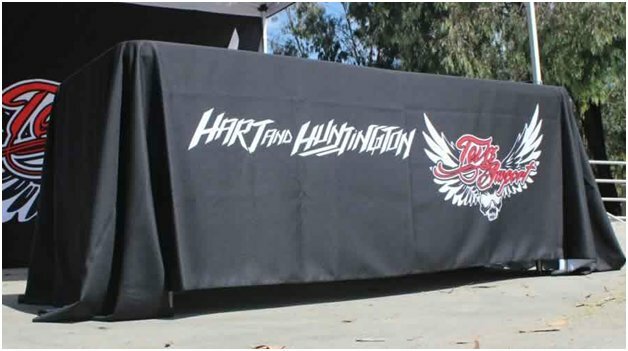 A customized event podium can be an invaluable item for these smaller-scale events. 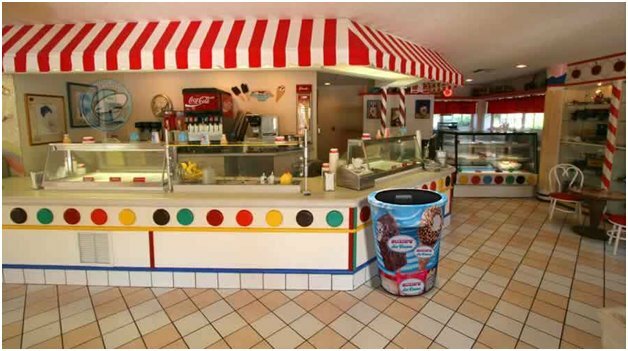 A strong display graphic makes your business noticeable, and clearly broadcasts your branding. Podiums lend an automatic air of authority, and also have the power to pique consumer interest, drawing people right to your display. Whether you use your podium as a spot where an employee provides customer service, or simply hands out brochures, this display is bound to have an impact at trade shows and beyond. Use your easels for presentations and meetings. Make presentations pop and meetings more dynamic by employing your trade show display easels to make your point. You could use your display easel to display various graphics, or use it to mount a writing pad or whiteboard so that you can display notes as you present. Using visual props during presentations and meetings has been proven to retain customer and employee interest; why not make use of your easel in this way between trade shows? Use table throws for store displays. A custom-fitted display with your logo or custom graphics which fits snugly over a tabletop, makes your surfaces look professional at trade shows. 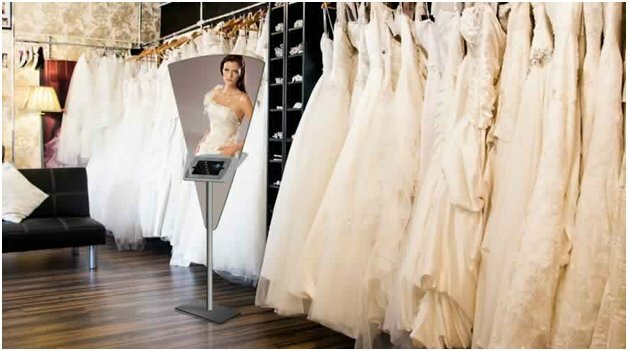 They can also make in-store or showroom displays dynamic and eye-catching. Use table throws to cover surfaces in your lobby, or use them to display products. The added branding will make an added impact. 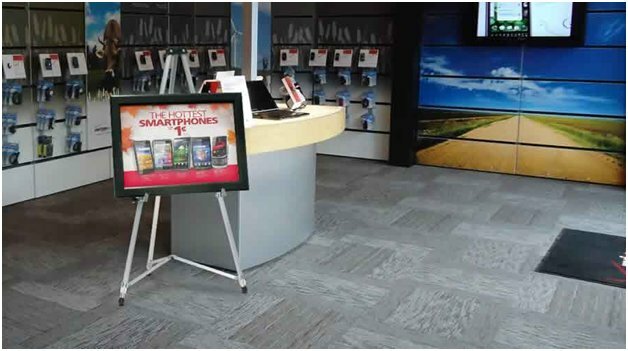 Use standing displays to promote sales or events. 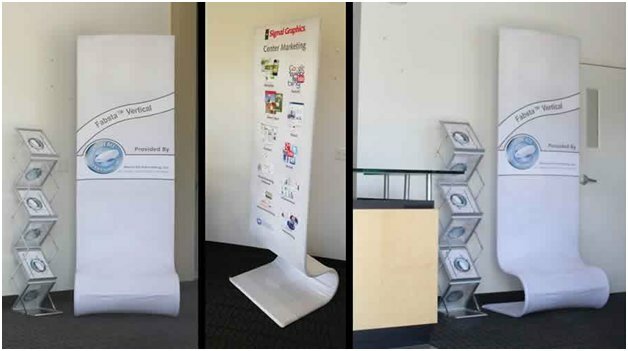 Standing displays are an eye-catching way to bring attention to your business: you can simply have your logo printed on a free-standing display such as our InstaFab Fabsta display, Fabsta curve stretch fabric display, or an XL-85 85-inch high display. As handy and visually appealing as they are at a trade show, they can offer the same benefits when it comes to promoting events or sales at your place of business. In addition to a specific sale or event banner, they can help drive your marketing message home, educating potential customers on the services they might seek out in your place. Use an iPad stand to promote your business. Custom iPad holders are one of the most popular recent trade show innovations. These stands can also be used to promote your business in other ways, too. 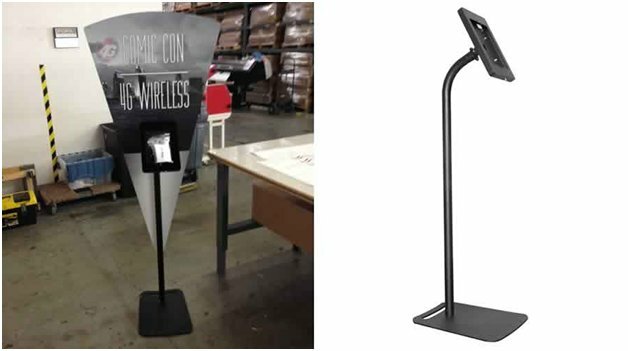 An iPad holder acts as a unique type of interactive sign for your business, and can be displayed in a lobby, in a retail space, or in your showroom. The iPad can be programmed in a variety of ways to inform customers about your business, or can even provide interactive services or information. It’s an eye catching and engaging way to share your business with existing and potential customers. Conclusion: Trade show displays are an invaluable investment that gives back to your business in many ways: they increase visibility, help you project an air of professionalism, and help promote and “sell” your business. But during trade show off season, why not make the most of your displays by re-purposing them for everyday use? 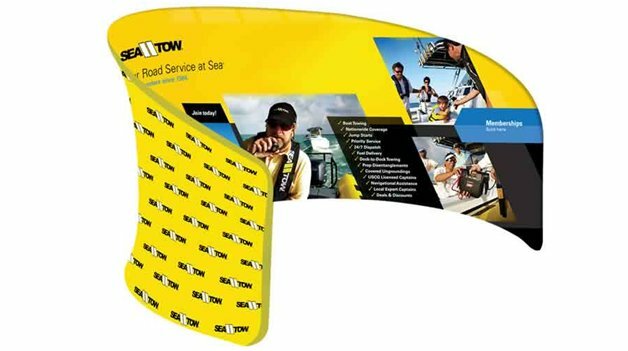 Easy to set up and effective to use, you can get even more mileage out of your displays between seasons by using them to promote at networking events or in your place of business. Do you use trade show displays off-season?